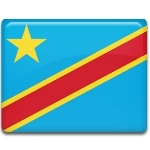 Heroes' Day is one of the public holidays in the Democratic Republic of the Congo. It is a two-day celebration which begins on January 16. The first day is dedicated to Laurent-Désiré Kabila and the second day to Patrice Lumumba. Patrice Émery Lumumba was an outstanding Congolese independence leader. He was one of the founders of the Congolese National Movement, a nationalist group in the Belgian Congo. In 1960, Lumumba helped win his Motherland's independence from Belgium. He became the first prime minister of the Republic of the Congo, the predecessor of the today's Democratic Republic of the Congo. However, after a coup d’état he was captured and executed. The execution tool place on 17 January 1961. Laurent-Désiré Kabila was President of DR Congo from May 17, 1997. He became President after having overthrown the authoritative dictatorial regime of Mobutu Sese Seko. It was Mobutu who was responsible for the execution of Patrice Lumumba. Kabila's presidency lasted almost four years. On January 16, 2001 he was assassinated by his bodyguard. The assassination is believed to be masterminded by Rwanda. Both Lumumba and Kabutu are considered the national heroes of DR Congo and are honored during the celebration of Heroes' Day.